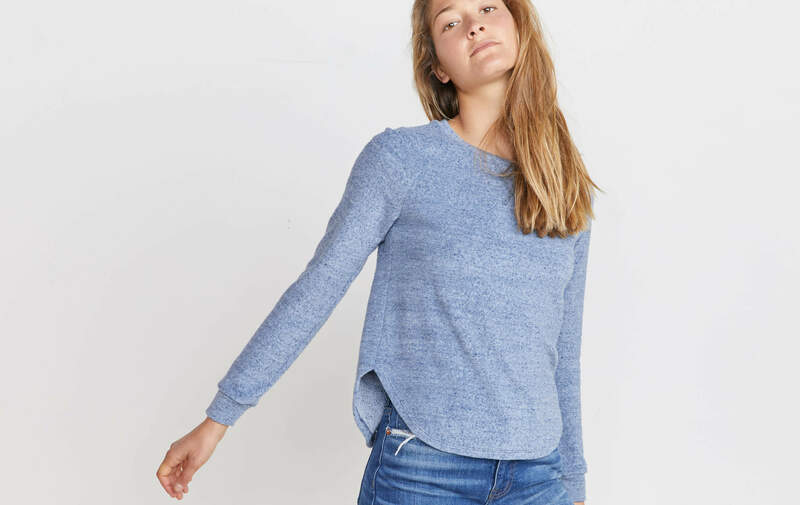 This retro-inspired Terry sweater has a raglan silhouette, saddle hem, and rib at the cuffs and neck that’ll always lay flat. We were inspired by a bunch of old surfer tees that we found from the 70s, and wanted a fabric that felt a little old school cool. So we found a family-owned knitting mill based in Los Angeles that makes this Terry Out fabric. 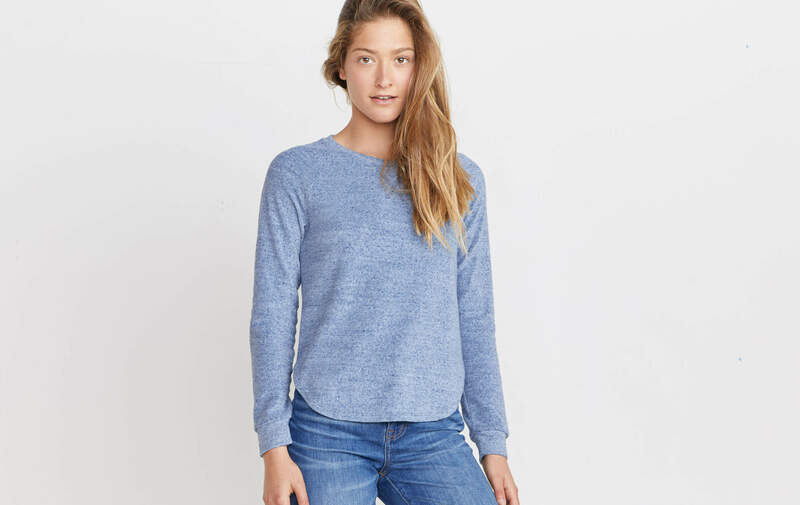 It’s made with tri-blend mock yarn for cozy, faded texture (and softness. Duh). Stav is 5'9.5'', wears an XS, and casually got into modeling after serving in the Israeli army. She also climbs everything in sight.